For much of 2015/2016, God’s people in Crafton Heights are seeking to be attentive to Christ’s call to follow as expressed in the Sermon on the Mount. On September 27 we considered the words of the sermon as found in Matthew 5:13-20. The other reading was from Ezekiel 34. 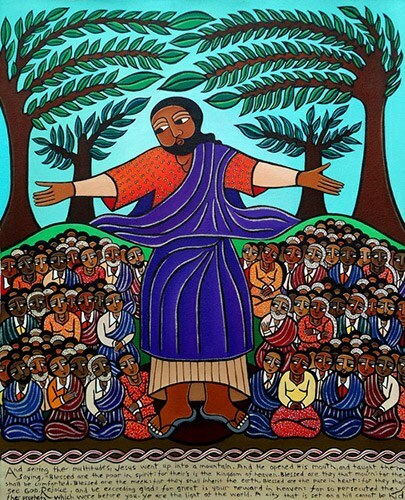 When Jesus begins the Sermon on the Mount, he offers his followers and the crowds what we have come to call the Beatitudes. A couple of weeks ago, I suggested that these statements – blessed are the poor in spirit, for theirs is the kingdom of heaven; blessed are the meek, for they will inherit the earth; blessed are the merciful, for they shall receive mercy; and so on – are not necessarily imperatives that true believers have to do in order to get God to like us a little better, but rather they are the ground rules for life in the kingdom that Jesus announces and inaugurates. Jesus does not try to talk anyone into mourning or being meek or trying to become pure in heart, he merely states that the people who are those things will receive the blessing of God. In the passage that we have heard this morning, Jesus continues to address the same group of people, and here he ‘ups the ante’ a little bit. Not only are these folk bound to participate in the deep blessing of God, but those who are poor in spirit, persecuted for righteousness’ sake, and who hunger and thirst for what is right are in fact the means by which the world is sustained and transformed. Another thing we of which we ought to take note is that these metaphors that Jesus uses refer to things that were abundantly available anyone in the culture. One of Jesus’ contemporaries, a naturalist named Pliny the Elder, wrote in his book Natural History that “nothing is more useful than salt and sunshine.” Every home – whether the poorest hovel or the largest compound – would have access to some quantity of both seasoning and light. Salt was prized for a number of reasons. Obviously, it’s an additive that enhances the taste of our food. Salt makes good food taste better. 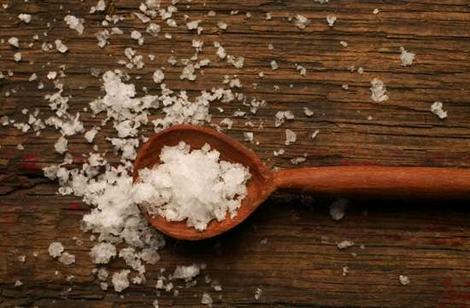 And if you’ve ever had or seen beef jerky or baccala, you know that salt is an excellent preservative. Mixing salt with meat or fish or other foods is a way to keep them pure and nutritious for a long time. And light, of course, is a precondition for life. Without the sun, we would not exist. 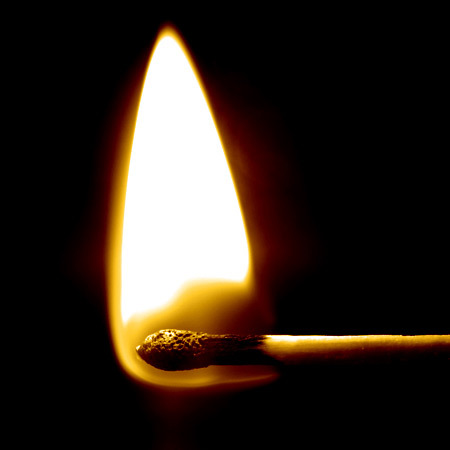 Light is used to point to or display beauty, to warn of danger, to signal distress or to announce a welcome. Light not only makes life better, it makes life possible. So these first disciples of Jesus are, in their essence, salt and light. They are not becoming those things, they are not being told to be saltier or brighter – they are given that identity. While the followers of Jesus are told that they are given this identity of being salt and light in the world, Jesus goes on to indicate that it’s possible to abandon that identity. He talks about salt losing its saltiness. If you were paying attention in high school science class, you learned that sodium chloride is a stable compound. That is to say that it is literally impossible for salt to not be salt. But in the time and place where Jesus was living, a time and place that lacked refineries and purification plants, what usually passed for salt was a white powder that had been gathered from somewhere like the shores of the Dead Sea. 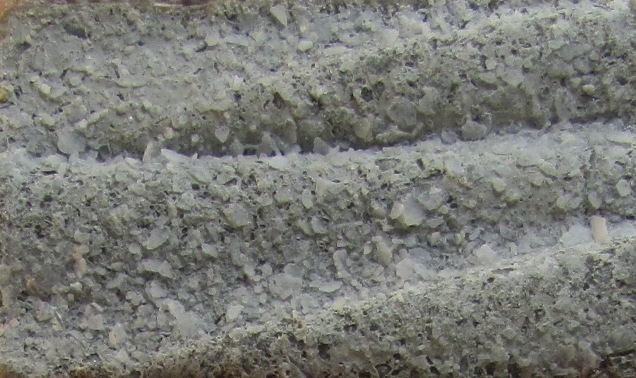 While this powder contained sodium chloride, it also had other minerals and elements in it. If it was left out in the rain, the salt, being more water soluble, would wash out, and you’d be left with something worthless – merely roadside dust. This, as Jesus indicates, is useful only in the compost pile or for filling in potholes. Even more ridiculous than allowing salt to lose its flavor is the idea of going through all the trouble to light a lamp and then cover it up with a basket or a blanket. The purpose of the lamp is to allow you to see and be seen; it’s ridiculous to suppose that one would choose to have light and then not use it. The last thing that I’d like to point out about salt and light is that they are most noticed and most valuable when they appear in situations where they have been absent. Think about it: why do you add salt to food? Because it doesn’t taste like salt. If the vegetable soup was already salty, you wouldn’t need it. But you add it to the soup that is salt-lacking, and it makes it better. Similarly, nobody needs a flashlight to see around this room right now. But I can tell you that there are plenty of afternoons where I’m sitting in my study as the sun goes down and when I come out into the sanctuary, I can’t see my hand in front of my face. Then, I’m very grateful for the flashlight on my phone. So you, beloved, like the disciples, are salt and light. I mention this specifically for the sake of the people in the room who are younger than I am. When we accept the identity that Jesus gives to us, that makes us fundamentally different than the world that surrounds us. This can be an uncomfortable position – following Jesus means making choices that are different, at times, than those of our friends. We’ll be talking about some of those choices in the weeks to come when we look at the ways that Jesus calls us to live in relationship with each other, but this morning I simply want to point out that just as light and salt are most noticeable in the darkness and the blandness, so too followers of Jesus are often starkly contrasted to those with whom we work, study, and play. After laying out these terms of identity for the disciples, Jesus goes on to correct a misperception that some may have had and then to issue his first genuine directive of the entire sermon. Jesus then goes on to mention that the righteousness to which he calls his followers is to surpass that of the scribes and the Pharisees. The Pharisees were a group of religious leaders who made it a point to know the Law of God. Further, they wanted to make sure that everyone knew the Law, and that everyone knew that they were following the Law. These men determined that the Old Testament contained 248 positive commands (such as “honor your father and mother”) and 365 negative prohibitions (such as “thou shalt not murder”). By their understanding, righteousness was measured by one’s ability to keep the commands and avoid the prohibitions. It’s easy to see why in some ways this is very attractive. I mean, look at the way that we love our statistics. 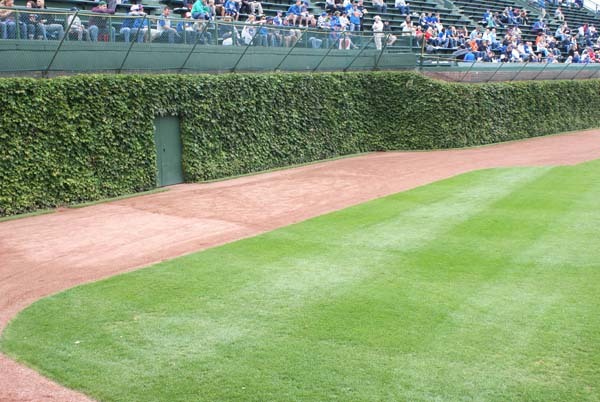 Consider the world of baseball, where it’s now possible to analyze statistics so thoroughly that one writer can say authoritatively that Pedro Alvarez’ glaring defensive weaknesses have been offset by his prowess at the plate. Statisticians using an index called “wins against replacement” (the WAR ratio) have concluded that in the past month or so, Pedro has brought in more runs with his bat than he has let score with his glove. Look at how many indicators there are for batting average, for on base percentage, for caught stealing, RBI, ERA, OPS – you name it. But Jesus isn’t interested in the equations like that, is he? His followers are called to outdo the Pharisees, not in terms of having a lower “sinning percentage” than they do, but by allowing the intentions of God to transform them from the inside out. Jesus tells his followers that as they allow the power and Word of God to take hold in their inner beings and motivations and thoughts and prayers, that they will live into their identity as agents of God life-giving, life-celebrating love and justice SO THAT the creation will be preserved and the darkness dispelled. Our righteousness is not measured by the number of religious acts that we are able to show off to each other, but by our willingness to accept our identity as those who are poor in spirit, meek, humble, and so on. There is an ancient Jewish legend that says that the very existence of the universe depends on thirty-six people known as lamed vovniks. In the book of Genesis, God announces his intentions to destroy Sodom and Gomorrah, and says that he will relent if enough righteous people can be found there. They are not, of course, and those towns are destroyed, but a legend has emerged from that story indicating that at any given time, there are three dozen people scattered across the face of the earth, and that number is high enough to prevent God from simply wiping the whole slate clean and starting again. The lamed vovniks do not know who they are themselves, or the special role that they play in the preservation of life. They are humble servants, tirelessly working to dry tears, show compassion, and shoulder the burdens of those who suffer. Like the Israelites in the Sinai wilderness, they have felt of the Shekhinah, the Divine Presence. They have recognized the power of God in their lives – the pillars of cloud and of fire – that guides and protects them. The Lamed Vovniks are not powerless in this wicked world. Rather, they use the gifts and talents that they possess to lift all those around them. They help to save us all. 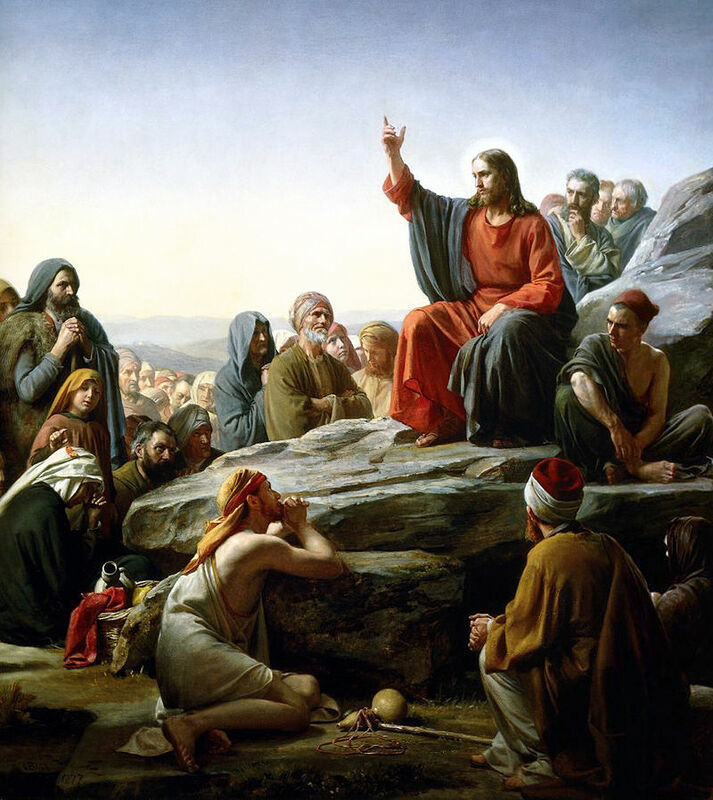 Let me be clear – this idea of the lamed vovnik is not found in the Bible…but what if each one of us lived in such a way that reflected a suspicion that the world depends on us to be humble, meek, pure in heart, single-minded, and so on? What if we thought that there was one or two lamed vovs in the room this morning? How would we act, and how might we treat each other, and how might we treat the strangers we encounter, if we believed that somehow the survival of the universe depends on our willingness to accept the righteousness of Jesus and to live as salt and light in a place that is willing to be bland and dark far too often? You are the light of the world. You are the salt of the earth. Remember that about yourselves and each other, and live like the world needs you to live. Thanks be to God. Amen. The church in Crafton Heights began our Fall 2015 worship series with an introduction to Jesus’ words in the Sermon on the Mount. Our scriptures for the day included Luke 6:12-19 and Isaiah 30:8-11. 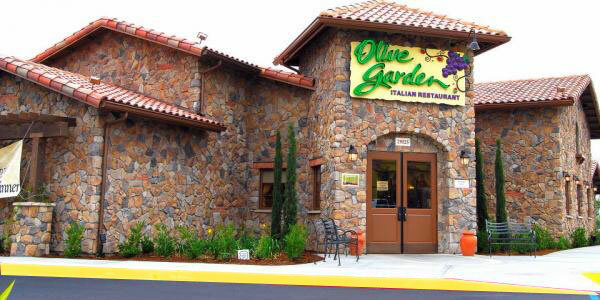 Do you like Olive Garden? Lots and lots of people do. This chain boasts more than 800 restaurants, 96,000 employees, and nearly $4 billion in annual sales. I bet that you have been there more than once. In corporate publications, the restaurant’s mission is clear: “Olive Garden remains committed to its purpose of Hospitaliano! – providing 100% guest delight through a genuine Italian dining experience.” And the leadership of the corporation has gone to great lengths to achieve that mission: they send their chefs on tours of Italy and have even begun a series of building improvements to ensure that the restaurants resemble an authentic Tuscan farmhouse. There’s only one problem with all of this: the people who eat at Olive Garden don’t actually like genuine Italian food. For instance, when the menu introduced gnocchi, a pasta staple in Italy since the Roman Empire, American customers wouldn’t touch the stuff until it was rechristened “Italian Dumplings” and hidden in chicken soup. From what I understand, most Italians enjoy their pasta with a very firm, al dente texture. Olive Garden, on the other hand, finds that it sells much more pasta when it is cooked much longer and ends up very soft. Chefs from the restaurant headquarters took a tour of Northern Italy and fell in love with a torn pasta dish with olive oil, garlic, and herbs, but every time they tested their creation in the USA, it was deemed “not cravable”. People don’t order pesto because it is too green and too oily. Fair enough. But I wouldn’t take any Italian friends there for a little taste of home. I bring this up because a few years ago I read a book that really challenged the way that I see the church. 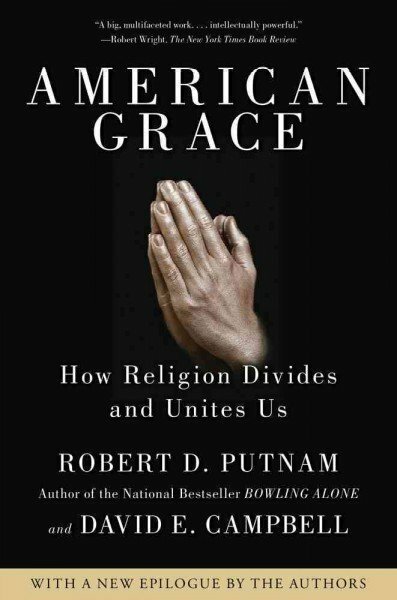 In American Grace: How Religion Divides and Unites Us, a team of sociologists demonstrated that how more often than not, churches, synagogues, and mosques are shaped by the preconceived political and social views of those who attend, rather than the dictates of the scriptures on which those faiths are based. In other words, more and more people are attending worship, not to be strengthened, corrected, or advised, but rather to have their own opinions and ideologies confirmed or blessed by the religious establishment. Earlier this week Kim Davis, a clerk in Rowan County, KY, was jailed because she refused to issue marriage licenses. If you don’t know anything about this, well, congratulations. You’ll have to tell me how you avoided hearing about this. At any rate, Ms. Davis could not do fulfill the terms of her employment and distribute these licenses, she said, because her Christian faith prevented her from doing anything to acknowledge gay marriage. She has been criticized by some on the left who have said, “For a person who has been divorced three times and married four times, she appears to be rather selective in terms of which of Jesus’ teachings she feels obliged to take literally.” And I have wondered wondered how those who support her on this particular issue might feel if she were to deny people gun or hunting licenses if she were a Quaker and her religious beliefs made her a pacifist. 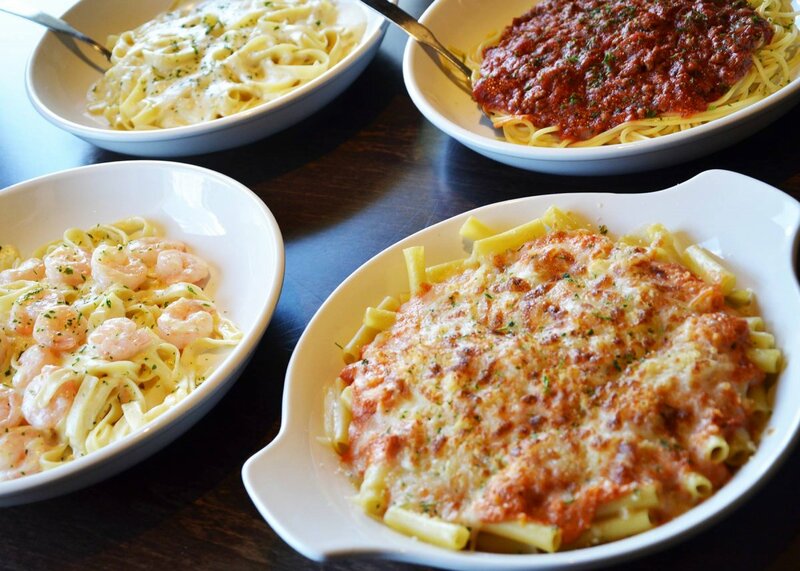 We have a problem – an Olive Garden problem. Don’t give us Italian food – give us food that we like. Don’t give us Jesus – give us something Jesus-ish. The Gospel reading for this morning comes at a pivotal point in Jesus’ ministry. Luke has recorded the miraculous birth and wondrous childhood of Jesus. We have watched as he heard the call of God during his baptism and went through a time of discernment in the wilderness. After that, he developed as an itinerant Rabbi, teacher, and wonder-working healer. He has engaged crowds and invited people to join him, and he has had conflict with the religious establishment, but he is to this point essentially a lone voice calling people back to God. In the passage we’ve just heard, Jesus spends the entire night in prayer and then comes down from the mountain with an apparently new game plan: he calls twelve of his followers to himself and charges them to become not only disciples (“followers”), but apostles (“those who are sent”). In doing so, he names his intent not only to come and work wonders himself, but to invest himself in a group of people so that they might not only follow him, but launch a movement and grow the church. 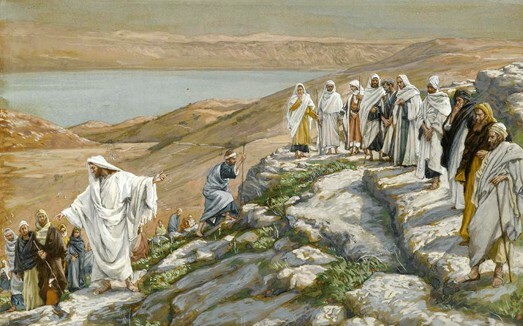 And look with me, please, at the first thing that Jesus does after his time in prayer leads him to name Simon, whom he called Peter, Andrew, and James and John, and Philip, and Bartholomew, and Matthew, and Thomas, and James, and Simon who was called the Zealot, and Judas the son of James, and Judas Iscariot as his apostles: Jesus marches these twelve men down from the top of the mountain and begins to teach them how to be like him. 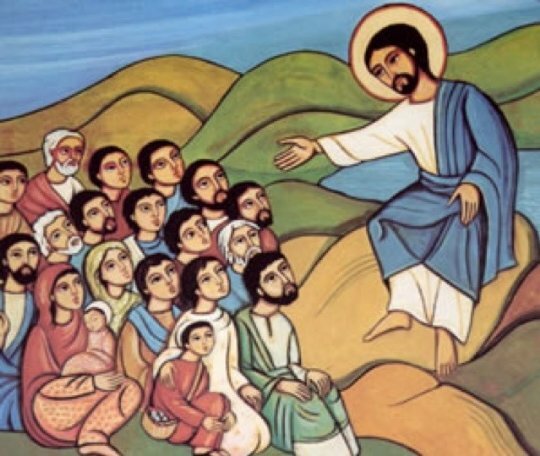 We have here in Luke the beginning of what we traditionally call “The Sermon on the Mount.” This teaching of Jesus, especially as we find it in the gospel of Matthew, is often called the single greatest compendium of ethical instruction ever offered. 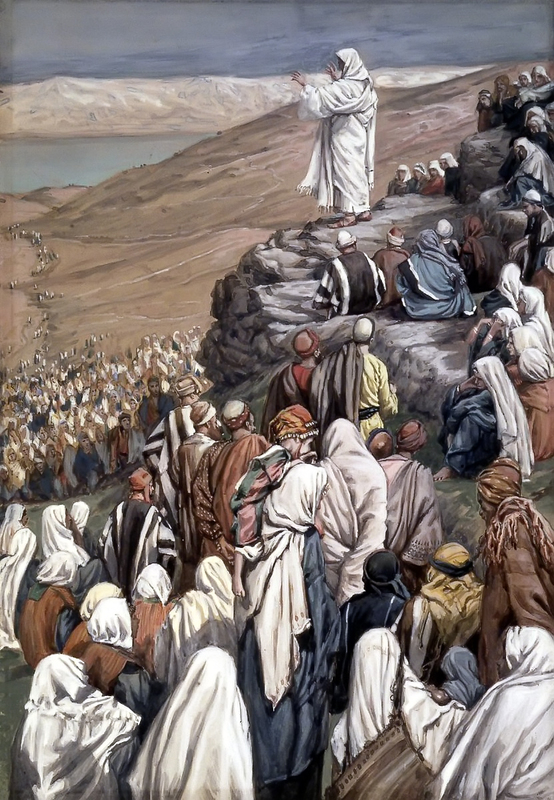 For centuries, people have loved the Sermon on the Mount. We quote snippets of it from time to time to remember who we are and who we are supposed to be… “Judge not, that ye be not judged…”, or “a city set on a hill cannot be hidden”, or “turn the other cheek…” You know this stuff, right? We love the Sermon on the Mount. It seems as though the church has an Olive Garden problem. That is to say, we really love the idea of Jesus. We like to sing to him and sing about him. We want to tell our children about him, and love to demonstrate to others how much Jesus likes us and we like him – check out our bumper stickers, our tattoos, our bookshelves, or our jewelry. Jesus is great! It’s just that we are a little bit happier when Jesus stays in the manger, or own the bookshelf, or on that really beautiful painting we picked up down at Family Christian Bookstore. We don’t want Jesus going through our browser history, do we? Are we excited about the idea of Jesus looking through the apps on our phones, or listening to the ways that we talk to or about our spouses? And who wants Jesus tagging along on those trips to the Mall or Amazon.com? We don’t need him pawing through our checkbooks or bank statements, do we? Yet aren’t those that the kinds of thing that Jesus seems to insist on doing, especially in the Sermon on the Mount? 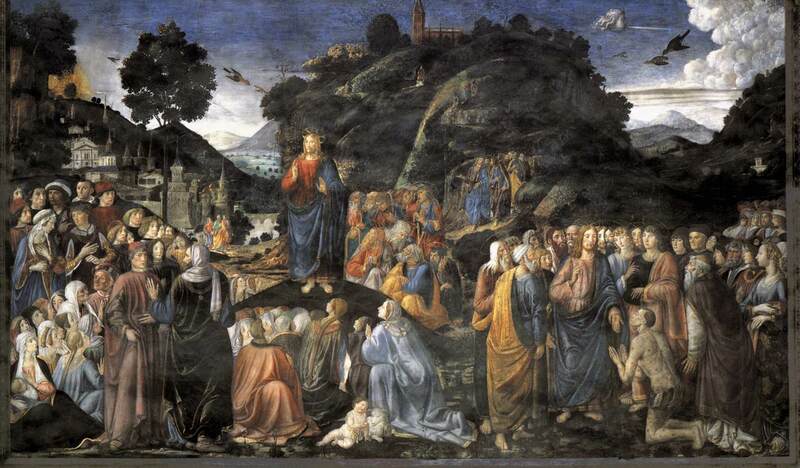 Here’s what I would like to do: I would like to commit a good part of the coming year to reading through the Sermon on the Mount slowly and deliberately during our worship time. Although I started this morning using the text from Luke, from here on out, we’ll go with the longer, more familiar, version as it is found in Matthew. I hope that I am courageous enough to allow the words of Jesus to intrude into my life as I do this. I hope that you are committed enough – to Jesus and to me – to keep me honest as we try to listen to Christ – the what he actually said, not to what we hoped he would say. Last week, we talked about the fact that we are called to have a vital connection with Christ – I used the image that is often found in scripture that he is the head and we are the body. If that is true, then we are obliged to take this vast section of his teachings seriously. In the weeks to come we will seek to listen to words that were first spoken by a first-century Palestinian Rabbi to a barely-literate assembly of fishermen, farmers, shop-keepers, tax collectors and shady characters, many of whom suffered from physical or mental illness. And as we listen to those words spoken by that man, we will ask God to allow us to hear them as people who are ourselves called by that man in the tradition of the apostles. May we come and hear not merely our own thoughts and opinions, but the gift of God’s word for this time, this place, and these people. The Message of the Sermon on the Mount (IVP, 1973) p. 15.